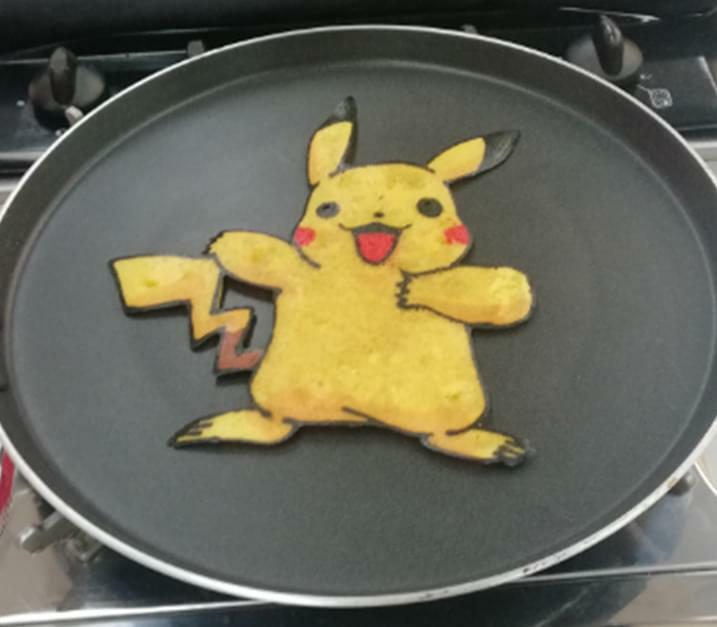 Several online influencers and lifestyle media personalities from various blog sites newspaper companies and TV networks were challenged and had fun in making their masterpieces, pancake arts. In the opening part, their new PR manager stressed how fun it is to do hotcake arts with our family members. 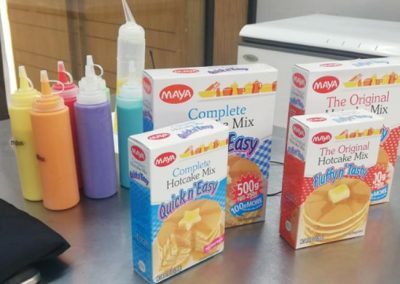 This year, they are launching the Maya Hotcake Mixes as the best products to choose from when it comes to doing the hotcake art drawing activities in our homes. 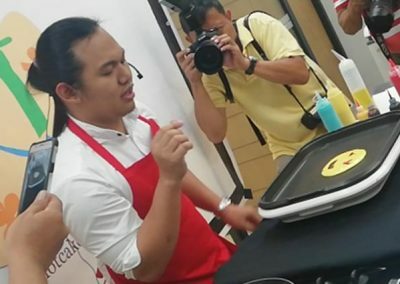 To make it more convincing that hotcake arts are cool, they invited Elle Jay all the way from Cebu who is also called Pancake Warrior to officiate the challenge and tutorial amongst us who attended the event. 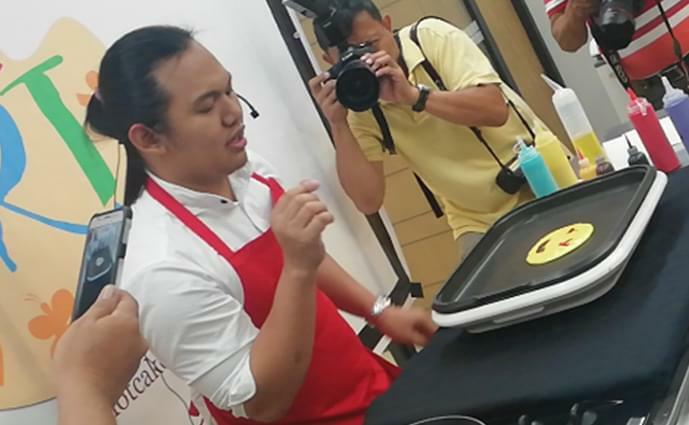 Elle Jay became a YouTube sensation when he started posting his videos of pancake art making. 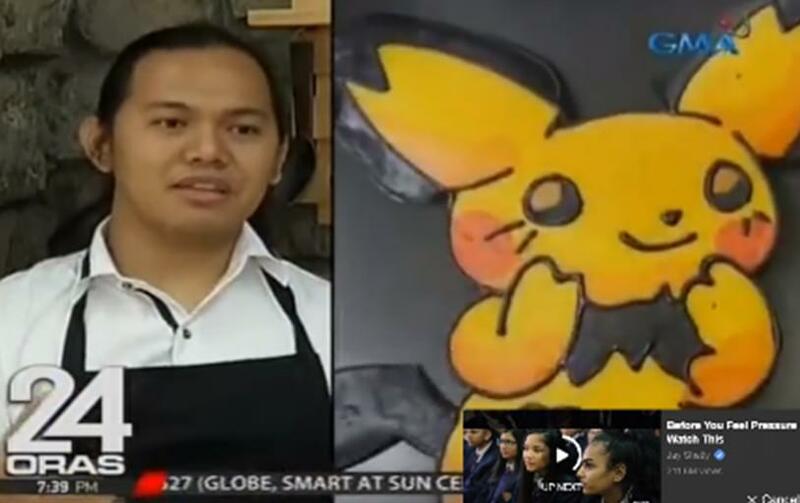 Check out this video in which he was featured on 24Oras for his ability to make cool arts using hotcake batters. 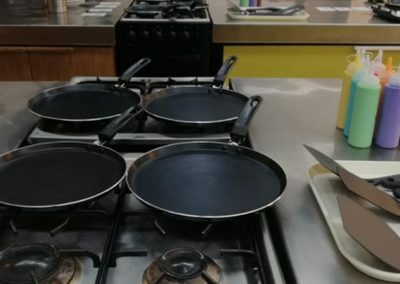 Using his new Masflex Non-stick Crepe Pan and Masflex Plastic 8oz. 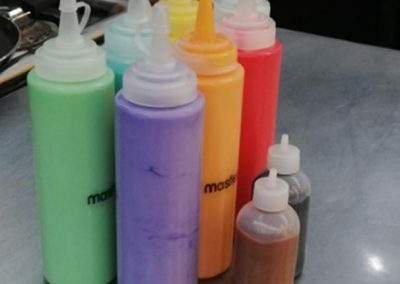 Squeeze Bottles, Elle Jay started his tutorial from the basic art (the Heart Emoji), that everyone could cook, to an intermediate art (Panda), and to the expert art piece (Pikachu). 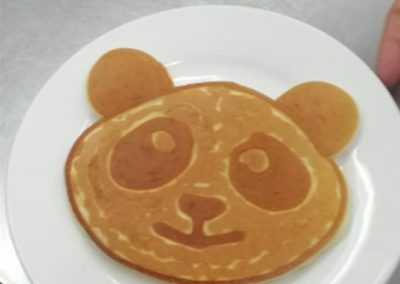 In the Panda part, he taught us that anyone can make it also by cooking first the outline, eyes, nose, mouth, and ears. 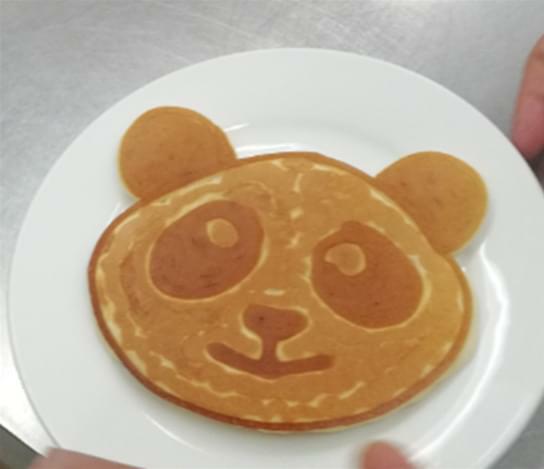 Then if these are cooked, he shut off the flame and started filling in the empty part on the face of the panda. It’s that simple and easy to do!. To excite us all who are in the room, he showed us his expertise by drawing Pikachu. 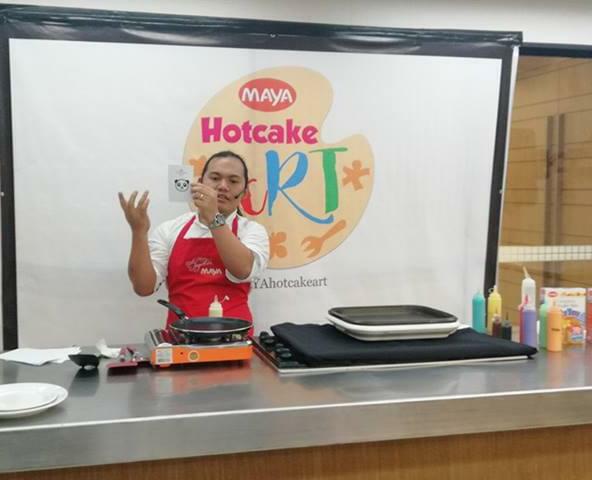 Everyone got amazed and felt excited to make their first hotcake art with Maya Hotcake Mix and Masflex Non-stick Crepe Pan and Masflex Plastic Squeeze Bottles after learning the tips and techniques from Elle Jay. 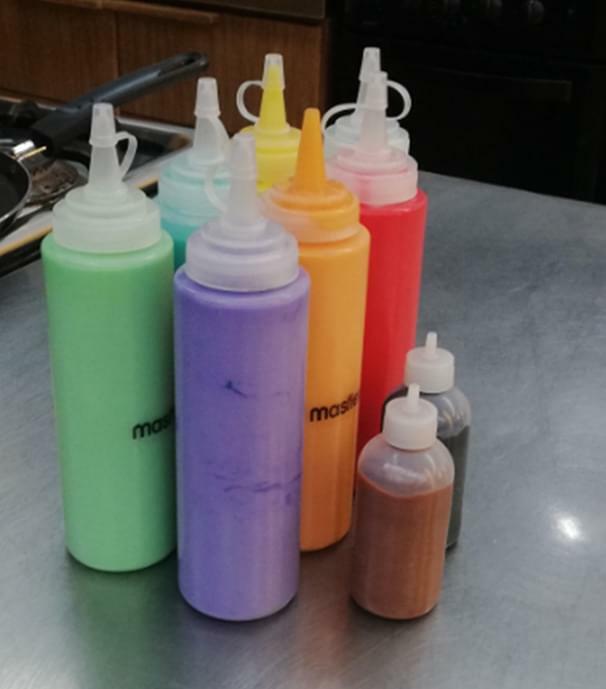 The attendees entered the cooking area with the ready colored hotcake batters in the Masflex Plastic Squeeze Bottles and Masflex Crepe Pans on the stove. 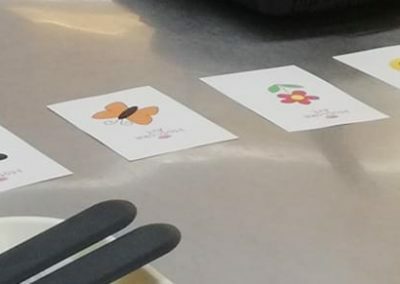 There were also easy to draw design reference on the table which anyone can try to copy for their hotcake arts. 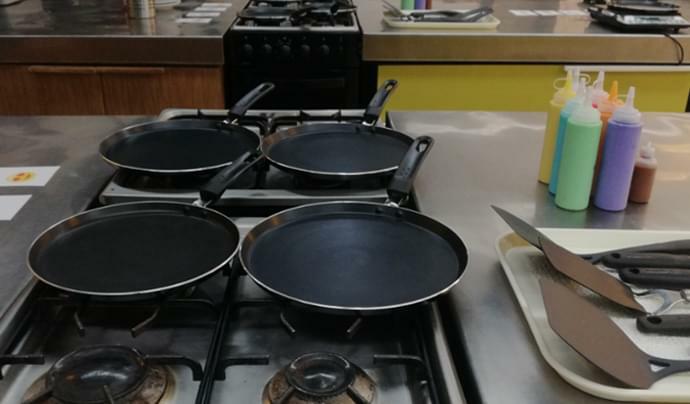 Masflex Cookware sponsored 20pcs 24cm Crepiere pans and 30pcs 8oz Squeeze Bottles. 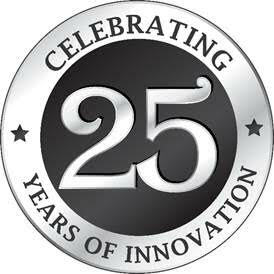 Masflex also added 18pcs 24cm Flat Pratapans for Maya Kitchen. 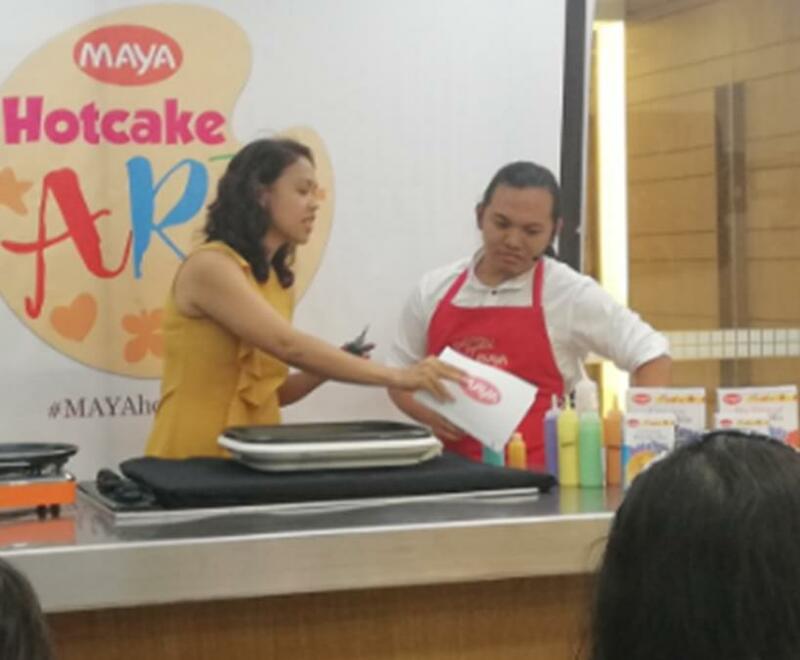 After the media launch, the 20pcs Crepiere Pans were given to the attendees along with the Maya Gift Products that they took home. According to Melissa of Maya, they mentioned to all attendees that Masflex Sponsored the Crepe Pan in their loot bags. Overall, the media launch event was a short one with meaningful message takeaway. 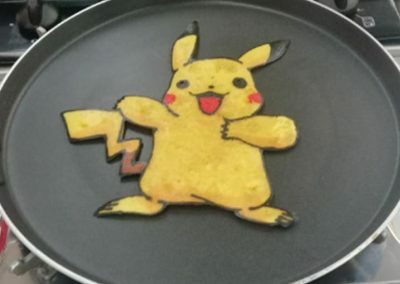 It is fun to make hotcake arts with Maya Hotcake Mix.